It’s not often that I relate personal information on Al Gore’s wonderful creation called The Interwebs, but I can’t keep from sharing this story with my fellow dudeists and achievers. So have any of you ever had health insurance troubles? President Obama has vowed to reform health care in my country and I would really like to see that happen. I occasionally hear scared comments about reform equaling “socialized health care,” but I really wonder how bad reformation would be. As some of you may know, in the past year I moved 1000 miles with my special lady friend and started a new job. While I’m lucky and grateful to have a full time job, I was also a little bummed to lose my old benefits like health insurance and vacation days. That’s no problem though; I just started paying for my own. While it wasn’t the greatest, or full of the benefits I was used to, it got the job done. Then, in January, the human resources department where I work sent me a letter stating I now had the option to join one of their plans. I checked everything out, and made a few phone calls to confirm benefits. Some of the details seemed a bit confusing but the information I received over the phone helped me make my decision to go for it. That was January. Now fast-forward to April when my new coverage actually started. (Yeah, I wondered too why it took 3 months for coverage to start.) Everything seemed fine until I tried to buy some medicine. I have some lung issues and have to take several medications regularly to keep them working properly. They’re kind of expensive, but I was supposed to have those wonderful co-payments to help with the cost. When I picked up this month’s supply, I was surprised to be charged 8 times what I was expecting. I looked into the issue and discovered those simple questions I had asked over the phone weren’t answered as truthfully as I had assumed. Yes, I do get co-payments on my meds, but I have to meet a large deductible on my plan before any of those cost-savings come into play. I didn’t panic. I tried to channel my inner-Dude and contacted someone in the human resources department to confirm or disconfirm my fears. They were confirmed. Luckily this woman had the decency to apologize for the confusion, even though she wasn’t the one who misinformed me. She had a couple options for me and I ended up canceling the plan 21 days after it started. I had no hard feelings against her, and it was very “Dude” of her to try and smooth things over. The next day I called up that place I originally was using for health insurance after the big move. Apparently I had been locked in at an old price, and even though I was trying to renew my policy from a mere three weeks ago, the prices had gone up. I will also be starting the plan’s deductible all over again. This didn’t make me very happy, but it is what it is; part of being an adult. Later in the day I found out about more charges I would be receiving from my April fling of crappy health insurance due to a doctor visit. I’m sure you could imagine what Walter’s reaction would be to all of this wonderful news, and I have to admit I wasn’t too cheery about it all myself. Then it hit me. I could just be sitting here with pee stains on my rug. 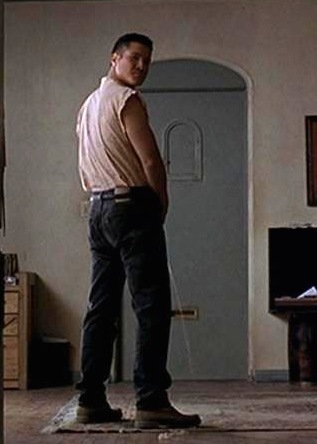 Is there any situation The Big Lebowski does not have an answer for? The Dude tried to better his situation after his rug was soiled, and soon found himself threatened by several parties and had a member of the weasel family dropped on him while soaking in the tub. All the Chalupa wanted was his health coverage back. In the end, I’m chalking this up to another lesson learned. It’s true when they say the grass is always greener on the other side. Well, maybe not all the time, but I sure got suckered in. I was just trying to save a few bucks every month and ended up with a bunch of extra bills and more to spend each month. So next time you hear someone saying that reforming health care is a dangerous step towards socialism, you should probably ask them about their health coverage. I would wager a Sioux City Sarsaparilla that they’re working a sweet government job or are fortunate enough to have excellent health insurance as a fringe benefit through their employer. Hallelujah, Dude, and sorry to hear of your woes. 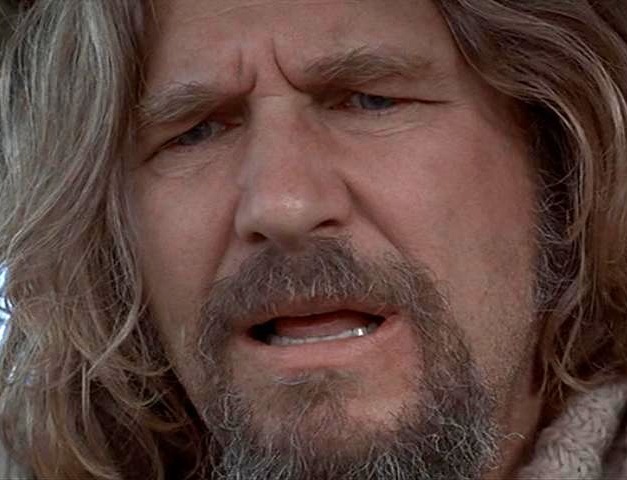 It occurred to me that Dudeist politics being such that, “having mellowed in his old age, Jeff Lebowski seems pretty much a Libertarian, but without the extremist tendencies”, it should be deemed that The Lebowski Party (far out, man) shall be the cure to both all of human suffering and the petty duality of our inept U.S. dual-party Republican/Democrat system today. Keep an eye out at lebowskiparty.com and let’s abide. I see your site is parked man. Any idea when you might go live with a web site there? Lebowski Party vs. the Garden Party! The Lebowski Party…I dig your style, man. And at least it’s an ethos. Sometimes there’s a party that just fits right in there. Our basic freedoms! Tatoo it on your forehead. Am I wrong? Listen, get some group health insurance and hold onto it with everything you’ve got. Avoid going to an individual policy unless you truly have to. Oh, and don’t hold your breath for socialized medicine. Too many people will lose too much money. For once our capitalism is dooming us to extinction. How do I know this? I work for an insurance company.